Alaska Smoked Salmon is a delicacy traditionally reserved for special occasions, enjoyed as a treat at brunch or evening hors d’oeuvres. These are Wild Pacific Salmon not pen farmed. Our gourmet salmon are from cold, clear Pacific Ocean waters and are high in heart-healthy Omega-3 oils. 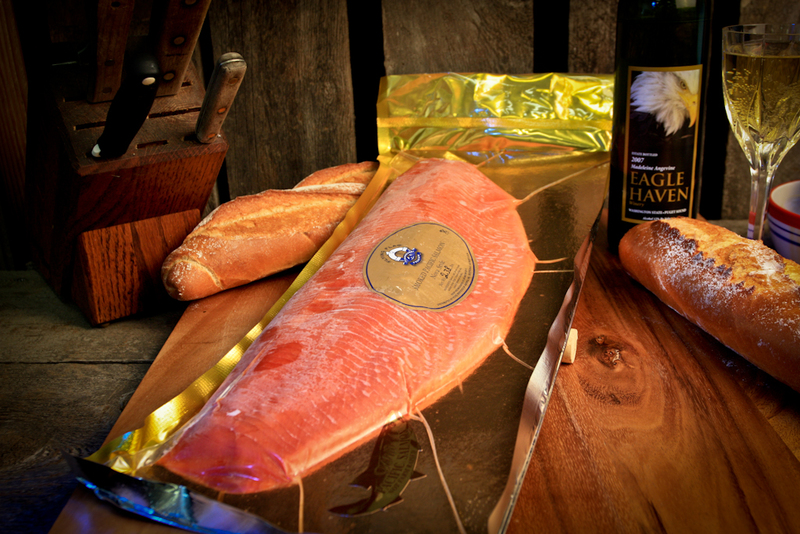 This deliciously cold smoked salmon is cured, not cooked. It is excellent by itself but most commonly used in hors d’oeuvres. A popular hors d’oeuvres is to blend cream cheese, dill and lime juice. 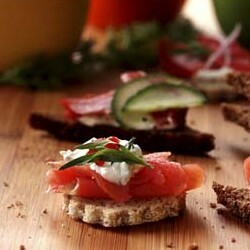 Spread cream cheese on bread pieces; top with Alaska Smoked Salmon. Garnish as desired.